E. Miles Kilburn has served as a member of the Board since March 2005, and has been Chairman since 2008. Mr. Kilburn is a partner and co-founder of Mosaik Partners, LLC, a venture capital firm focused on making investments in early stage commerce enabling technology companies since 2014. He has also been a private investor since June 2004 and serves as a director on several private company boards. Prior to that, he was Executive Vice President and Chief Strategy Officer of Concord EFS, Inc., a payment services and network services company (which was acquired by First Data Corporation in February 2004) from 2003 to 2004, and Senior Vice President of Business Strategy and Corporate Development from 2001 to 2003. He served as Chief Executive Officer of Primary Payment Systems, Inc. (now Early Warning Services, LLC. ), a provider of services that combat check, identity and new account fraud from 2002 to 2003, and Chief Financial Officer from 1997 to 1999. From 1995 to 2001, Mr. Kilburn served in various roles at Star Systems, Inc., ultimately as Group Executive Vice President and Chief Financial Officer. Mr. Kilburn, a member of the California bar, began his legal career as an associate with Skadden, Arps, Slate, Meagher & Flom. Mike was named our Interim President and Chief Executive Officer in February 2016 and was appointed President and Chief Executive Officer in May 2016. He has served as a member of the Board since August 2010. From August 2008 to August 2010, Mr. Rumbolz served as a consultant to the Company advising the Company upon various strategic, product development and customer relations matters. Mr. Rumbolz served as the Chairman and Chief Executive Officer of Cash Systems, Inc., a provider of cash access services to the gaming industry, from January 2005 until August 2008 when the Company acquired Cash Systems, Inc. Mr. Rumbolz also has provided various consulting services and held various public and private sector employment positions in the gaming industry, including serving as Member and Chairman of the Nevada Gaming Control Board from January 1985 to December 1988. Mr. Rumbolz is a Director of Seminole Hard Rock Entertainment, LLC. Mr. Rumbolz is also the former Vice Chairman of the Board of Casino Data Systems, was the President and CEO of Anchor Gaming, was the Director of Development for Circus Circus Enterprises (later Mandalay Bay Group) and was the President of Casino Windsor at the time of its opening in Windsor, Ontario. In addition, Mr. Rumbolz is the former Chief Deputy Attorney General of the State of Nevada. Geoff Judge has served as a member of the Board since September 2006. Mr. Judge is a Venture Partner at iNovia Capital, a manager of early stage venture capital funds. He has been with this venture firm since 2010 and has been an active private equity investor since 2002. From 2003 to 2005, he was an investor in and the Chief Operating Officer of Preclick, a digital photography software firm. In 2002, he was the Chief Operating Officer of Media Solution Services, Inc., a provider of credit card billing insert media. From 1997 to 2002, Mr. Judge was a co-founder and Senior Vice President and General Manager of the media division of 24/7 Real Media. From 1995 to 1997, he was a Vice President of Marketing for iMarket, Inc., a software company. From 1985 to 1994, Mr. Judge was a Vice President and General Manager in the credit card division of American Express. Ron Congemi has served as a member of the Board since February 2013. He is an active member of the Philadelphia Federal Reserve’s Payments Advisor Council and has served as a member of the board of Clearent LLC, a merchant processing company and as a consultant to the Acxsys Corporation of Canada; the operating arm of the Interac debit network of Canada. Ron was also a paid advisor to the Gerson Lehrman Group, a global advisory firm. Ron served four years as CEO of First Data’s Debit Services Group encompassing responsibility for all debit and Star branded network services for First Data. 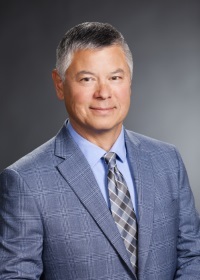 Prior, he held title as Senior Vice President of Concord EFS, Inc. and President of Concord’s Network Services Group, with management responsibility for the Star network and financial institution processing. Ron founded Star Systems, Inc., building it to be the largest ATM and PIN-secure debit network in the country during his 17 year tenure as President and CEO. Previously he held positions at Visa International including Manager of Card Products USA, General Manager Visa Australia and Manager of Member Development Visa Asia-Pacific Region. Ron began his career with Texas Commerce Bank in the information systems and bank card management divisions. Industry positions also included Chairman of the Electronic Funds Transfer Association, Chairman of Star Systems, Inc., Chairman of TNS Canada and Chairman of Early Warning Systems, LLC. Ron is the recipient of NACHA’s Lifetime Achievement Award. After serving in the US Army, Ron received his degree from Lamar University, Beaumont, Texas. Eileen Raney has served as a member of the Board since February 2016. Ms. Raney has also served on the board of the University Medical Center of Southern Nevada from 2014 to 2017 serving as Vice Chair of the Board of Governors and Chair of the Audit and Finance Committee and Strategy Committee. She has been a member of the Advisory Board for the UNLV Libraries since 2010, has been a member of the advisory board of Fino Consulting since June 2015 and has served as a member of the Board of Directors and the Board's Finance Committee at the Nevada Health Centers from 2013 to 2015. From January 2011 to November 2013, Ms. Raney served as a member of the Board and a member of the Audit, Compensation and Governance Committees of the Board of SHFL Entertainment, Inc., a global gaming supplier that was acquired by Bally Technologies, Inc. in November 2013. She also served as a member of the Board and Finance Committee of the Board of Nevada Health Centers, a federally qualified health center in Nevada from April 2013 to April 2015. From 1988 to 2007, Ms. Raney held numerous positions with Deloitte & Touche USA, LLP, where she was hired as a Director in 1988 and made Principal in 1990. Her last position prior to retirement was National Managing Principal, Research & Development and Member, Deloitte & Touche USA Executive Committee from 2003 to 2007. She was a member of the Deloitte Board of Directors from 2000-2003 while serving as the Human Capital E-Business Leader. She also held the positions of Global Leader, Integrated Health Group from 1996 to 2000; and Western Regional Leader and National Co-Leader, Integrated Health Group from 1988 to 1996. Linster Fox has served as a member of the Board since May 2016. Mr. Fox served as Executive Vice President, Chief Financial Officer and Secretary of SHFL Entertainment, Inc., a global gaming supplier, from 2009 up until the company’s acquisition by Bally Technologies, Inc. in November 2013. He has also served on the Executive Advisory Board of the Lee Business School at the University of Nevada-Las Vegas from 2015 to 2016, served as interim Chief Financial Officer of Vincotech in 2009 and as Executive Vice President, Chief Financial Officer and Secretary of Cherokee International Corp. from 2005 to 2009. He has also served in a variety of executive roles over the course of 18 years at Anacomp, Inc., including Executive Vice President and Chief Financial Officer and as a member of the company’s Board of Directors. He began his career as an accountant at PriceWaterhouseCoopers LLC, is a Certified Public Accountant and has a B.S.B.A. from Georgetown University in Washington, D.C.
Maureen T. Mullarkey was appointed to the Board in March 2018. Ms. Mullarkey is a private investor and also serves on the Board of PNM Resources, Inc., as Chair of the Audit and Ethics and member of the Nominating and Governance Committees. PNM is the electric utility in the State of New Mexico. From 2008 through 2013, Ms. Mullarkey was a director of NV Energy, Inc. until the company was sold to Mid-American Energy Holdings Company, a subsidiary of Berkshire Hathaway, Inc. a. She was also an Entrepreneur in Residence with The Nevada Institute for Renewable Energy Commercialization from 2009 through 2011. In 2007, she retired from International Game Technology (now International Game Technology PLC), a leading supplier of gaming equipment and technology, where she held a variety of financial and executive management positions in her 18 years with the company. Her last position with International Game Technology was that of the Chief Financial Officer and Executive Vice President, a post she held from 1998 through 2007. Ms. Mullarkey has a B.S. from the University of Texas and an M.B.A. from the University of Nevada.